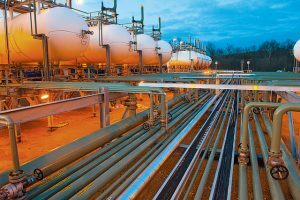 The Premier of New South Wales and the Chief Minister of the Northern Territory signed a Memorandum of Understanding (MOU) on Friday to cooperate on the development of a pipeline that will connect the Northern and Eastern gas markets. “The NSW Government recognises the benefits a gas pipeline connecting the Northern Territory and eastern seaboard would have for consumers in NSW. We are actively exploring all possibilities to increase gas supply to our domestic consumers and this MOU is an important step in offering NSW Government support to the process now underway,” said NSW Premier Mike Baird. According to the joint media release by Mr Baird and Mr Giles, the NSW and NT Governments will join forces to develop and promote a national and competitive domestic gas market. “A gas pipeline between Central Australia and the East Coast is both a win for the Territory economy and a win for states such as New South Wales that urgently need to secure an affordable new energy supply. Momentum for this nation-building project has been growing since the recent COAG meeting where leaders voiced unanimous support for the pipeline. It is fantastic to now also have a specific MOU with NSW agreeing to work together on this project,” said NT Chief Minister Adam Giles.